ENGEO has been asked to support the post-earthquake seismic upgrades and reconstruction efforts in Christchurch, New Zealand and other areas of the country where earthquake hazards are of significant concern and seismic risk management has become a critical issue. 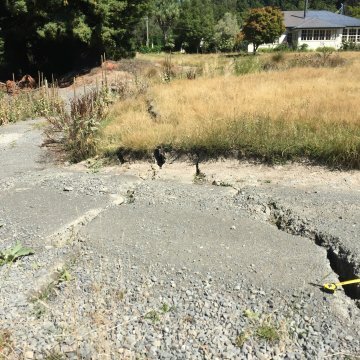 Following the devastating damage from the recent earthquakes, ENGEO was called upon to bring the firm’s geotechnical, geologic and seismic engineering expertise to New Zealand, based on its technical expertise and rapid emergency response in the United States. Principal Geotechnical Engineer Donald Bruggers, Project Engineer Joe Gray and Staff Engineer Naomi Norris have relocated to New Zealand to lead a new office in support of the rebuilding and assessment efforts. The professionals of ENGEO are eager to help the communities that have been deeply affected by these geologic hazards, and remain committed to providing these services in earthquake-prone California and other regions where the firm’s expertise and experience can be beneficial.